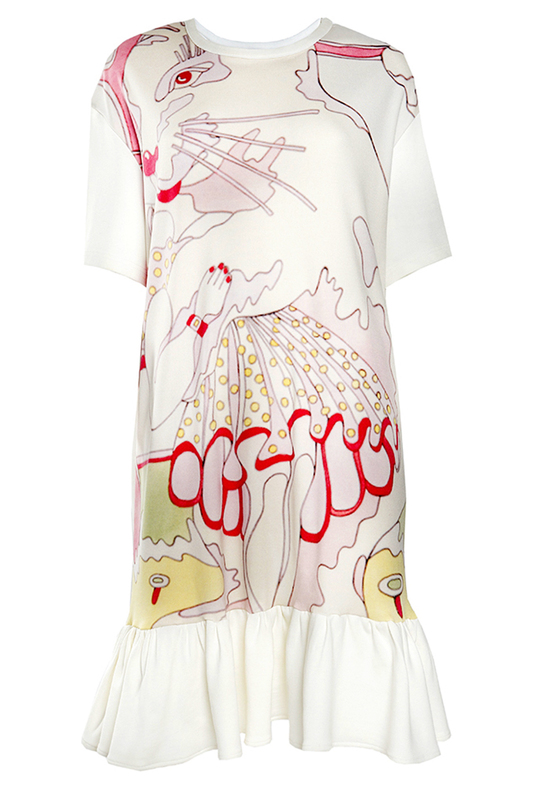 The modern contemporary dress is covered with Estonian artist's Leonhard Lapin's's art work "Kiss from the rabbit". Designed by Kertu Kivisik. <br>Material: VI + EA <br>Digital printing with full bright colors. <br>Product is made in Estonia. <br>Washable in the washing machine with 30%. <br>NB: price includes copyrights for the artist. <br>Model is wearing size S.
Modern loose fit. And the stretchy material makes it easy to fit and vary.